What are the requirements to attend Canyon Rim Academy? What is the process to have my child attend Canyon Rim Academy? When do you begin accepting applications for enrollment? If I am unable to attend the Open House, can I still apply? Why do you have a lottery and how does it work? What happens to my application after I have filled it out? What are the chances of my child being accepted into Canyon Rim Academy? How can I improve my child's chance of being accepted at Canyon Rim Academy? Will I be notified if my child is not invited to enroll? Can I visit Canyon Rim Academy? My child currently attends Canyon Rim Academy; do I need to reapply in the lottery for my child to continue being enrolled? If my child is accepted, can I choose the teacher I want my child to have? How many grade levels are taught at Canyon Rim Academy? Do you charge tuition or fees to attend Canyon Rim Academy? Do I have to live near the school in order to be eligible for enrollment? Can my child be enrolled at Canyon Rim Academy and another school at the same time? When can I apply for 2019-2020? 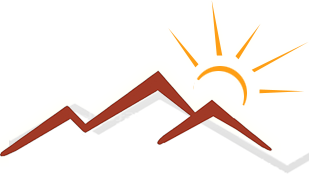 Canyon Rim Academy is a public charter school and part of the State of Utah public education system. It must be open to all students, without discrimination. Public schools may not discriminate on any basis. If the number of applicants exceeds the capacity of the school or its' programs, classes or grade levels, then those to be admitted are chosen at random in a lottery process. Prospective students/parents must fill out an application to be considered for enrollment. Applications are available at our October Open House or in our office after the Open House is held. Our applications are simple to fill out - we just need basic student information and parent contact information. Birth Certificates are not required when filling out an application. We do not have an online application. We begin accepting applications in October for the next school year at an Open House at Canyon Rim Academy. Applications will not be accepted prior to the open house. The date of the open house will be announced on our website approximately one month before the open house. We recommend that perspective parents attend the open house so they may take a tour of the building, ask questions and receive more personal attention than can be offered on regular school days. Yes. Our October Open House is the kick-off event that begins the application process, but we continue to accept applications throughout the school year. There is no end date for submitting applications. You may visit our school office during our regular office hours, 8:00 a.m. to 4:00 p.m. to fill out an application after the date of the open house. Tours will not be offered during regular school days. Charter Schools are required by state law to have a lottery if they have more applicants than spots available. Though we do a lottery, we are permitted to divide our year into application periods, and each month designates an application period. At the end of each month/application period, applications turned in during that month are put in a random order through a lottery process. A waiting list is then generated from the lotterized applications. Your application will be held until the end of the month when you applied and lotterized with all the applications that came in during that month. At the end of the first application period, applications are lotterized and a waiting list is created from those applications. At the end of each month, the applications are lotterized for that month and are then added to the bottom of the existing lotterized waiting list. If we have spaces available, we begin by inviting students on the top of the waiting list and work our way down until all available spots are filled. You child's chances of getting accepted are based on the number of applications we receive, the number of openings we have and the number of people who accept or decline our offer of enrollment. These numbers fluctuate, so we are unable to predict your child's chance of being accepted to attend Canyon Rim Academy. There is no way to improve your child's chance of being accepted. We must use the lottery wait list to invite new students and we invite them in order of the lotterized placement on that list. Yes. Applications do not carry over from year to year. If you were not invited to attend Canyon Rim Academy one year, you will need to apply for subsequent years in order to be in the lottery. We begin inviting students in mid-March for the following school year. This process continues throughout the spring and summer months when openings become available. If your child is accepted, you will receive an email notifying you of the invitation to enroll. Registration materials will also be included in the email. No. We invite new students when we find other students aren't returning. Because those numbers often fluctuate as we prepare for the next year, we don't tell applicants that they haven't been invited when there is a chance they may be invited at a later date. Yes. We recommend that you attend the October Open House so that you may take a tour of the building. Tours are not offered during the school year. No. Once your child is enrolled they are in the school until they finish at CRA. No. Canyon Rim Academy has excellent teachers and your child will be placed where the administration thinks is the best fit. Canyon Rim Academy is a Kindergarten - 6th Grade public charter school. In order for a student to enroll in Kindergarten, the child must be 5 years old by September 1st of the year for which they are applying. Students under 5 years old may not be enrolled at Canyon Rim Academy. No. We are a publicly funded school, so we may not charge tuition or fees. The PTO may ask for donations or conduct fundraisers for the school, but patrons are not required to participate. Classes in grades 1st – 6th are limited to 25-26 students per class; Kindergarten classes are limited to 19-20 students per class. There are three classes in each grade level 1st – 5th grades, two classes in 6th grade and four Kindergarten classes, two AM and two PM. Monday-Thursday school is in session 8:30 a.m. to 3:15 p.m. for 1st – 6th Grades. Friday hours are 8:30 a.m. to 1:15 p.m. AM Kindergarten hours Monday-Thursday are 8:30 – 11:30 a.m. and 8:30 – 10:30 on Fridays. PM Kindergarten hours Monday-Thursday are 12:15 – 3:15 p.m. and 11:15 a.m. – 1:15 p.m. on Fridays. No. Anyone is welcome to apply and we do not have school boundaries. However, those that live within a two-mile radius of the school do get a preference over those living outside a two-mile radius. Are there any preference specifications for enrollment? Yes. Preferences fall in this order: 1) Siblings desiring to enroll at Canyon Rim Academy are placed first before any other invitations are extended. 2) Children of current full time employees. 3) Applicants living within a two-mile radius of Canyon Rim Academy. 4) Applicants living outside a two-mile radius of Canyon Rim Academy. Yes. Students are required to wear Navy or Khaki twill bottoms (shorts, capris, skirts, jumpers or long pants) and collared shirts with buttons. Typically shirts are polo type shirts, but cotton shirts with collars that button down the front are also permitted. For a more complete list of uniform requirements, please see the Dress Code/Uniform Policy. No. State law does not allow for a student to be enrolled in two public schools at the same time. You may apply to go to another school and still be enrolled in your home base school, but if you are accepted by another public school you must withdraw from the school where your child is currently enrolled. When can I apply for 2018-2019? The first opportunity to apply for 2018-2019 will be at an Open House on Thursday, October 5th, 2017, 4:00 - 7:00 p.m. If you want to apply and cannot attend the open house, you may come into the office at Canyon Rim Academy any time after the open house date during regular office hours, 8:00 - 4:00 to apply.